Dominica is among several Caribbean countries to engage in an online safety campaign. This Commonwealth initiative was launched by Get Safe Online, a UK based non-profit organization. Get Safe Online is soliciting the support of community groups, government ministries, other non-profit organizations and the media to spread the campaign message of online safety in the respective Commonwealth countries. Get Safe Online is funded by the UK Government, law enforcement and both public and private sector organisations and now can bring these services to the Caribbean as part of the UK’s Commonwealth Cyber Security Programme. The first campaign headlined “Hello Potential Victim” will target all members of the public, will run over the period April 2019 to March 2020, with a focus on those most likely to be affected; the elderly and children. Hello Potential Victim campaign, shows examples of what a “Potential Victim” looks like from the victim’s point of view, and from the scammer’s perspective. “Hello” serves a dual role; a “wake up call” to victims exposed to online predators and scammers as well as a greeting much like how a fraudster would address their target. The campaign spans nine commonwealth countries, including Antigua & Barbuda, Bahamas, Barbados, Jamaica, Grenada, Guyana, St. Vincent & The Grenadines and St. Lucia and Dominica. 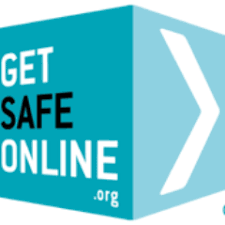 The platform for sharing online safety information in Antigua and Barbuda is getsafeonline.ag.